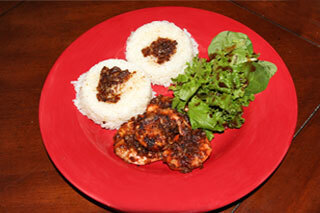 The Butter Garlic Shrimp and Rice dish is made entirely on the griddle top. This authentic Hawaiian style shrimp recipe cooks quickly on the griddle top. The shrimp is perfectly cooked in a garlicky butter sauce served with a side of fluffy white rice.